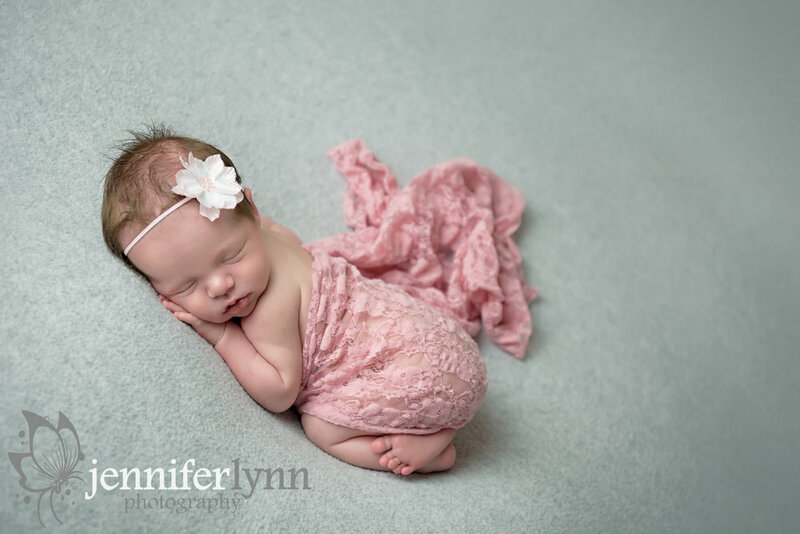 Miss Avery was a welcome last minute addition to my schedule and was just as cute as can be at 4 weeks old. Even though she was past that week-old window when I typically capture newborn portraits, she still slept like a champ and was a wonderful little model for her newborn session. She even loved being in the bucket, which can be tricky as they get older and start to get bigger tummies, but she completely rocked it! Her mom and I debated on when to get Avery in last week due to the crazy weather we had with the snow storm of the decade! In the end, I’m so glad we delayed it to the weekend instead of trying to work around that storm as it left the roads a mess for days afterwards with all the drifts then melting and freezing of the snow and ice. 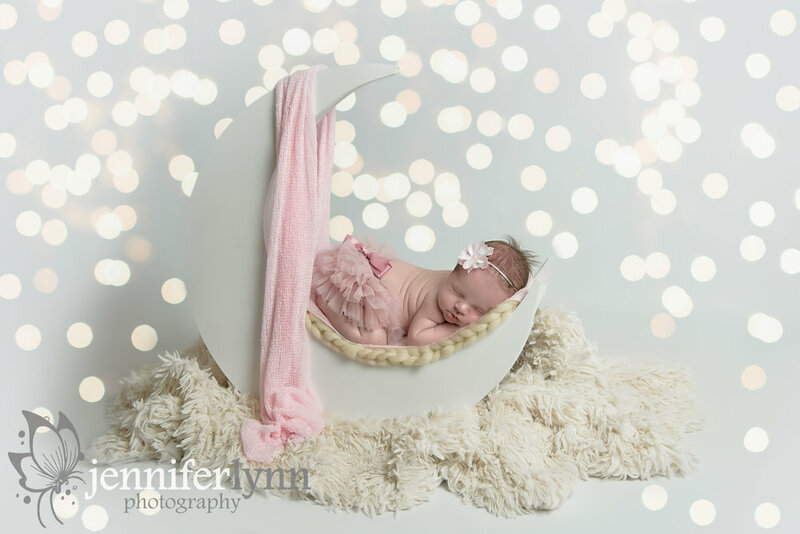 Avery’s session was done in classic pinks and blush pinks with some grey accents to match her nursery. Her mom also brought in an adorable little unicorn hat and tutu we used for some photos. As someone with an older daughter and baby girl, I’m continuously amazed at how popular unicorns are for all ages! But there is obviously a reason as the headband was too cute on Miss Avery. Take a peek at that one below! Her mom also brought in a personalized blanket that was made by a family member, so we ended our time getting a sweet photo of Avery curled just how she preferred in a basket on top of the gorgeous, soft blanket. A big congrats to this family of four on your newest little one! Enjoy all those new baby snuggles and I hope to see you all again as Avery grows!